I can’t help but think that, had it featured a lead any less able than Isabelle Huppert, this might have ended up being a distant and perhaps even terribly dull experience which would feel far too remote and emotionally disconnected for anyone to appreciate it. Instead, we have a film largely held together by a fine performance expertly balanced between icy detachment and inner turmoil. Huppert’s portrayal of a romantically betrayed and devastated musician, who retreats into herself and then decides to totally shed her previous existence, is no mean feat. We feel her despair, we see what she tries to hide and we understand why she chooses to emotionally detach herself. That’s a damn good thing, too, because otherwise 'Villa Amalia' simply wouldn’t work. It is the unusual tale of a talented and respected pianist who, after witnessing her partner’s infidelity, uses a chance meeting with an old friend as a springboard into a new life, a chance to run away from literally everything. At the same time, she also becomes a cold and very closed human being, never truly revealing all of her thoughts or her intentions, but nevertheless manifesting incredible ambition and drive in dismantling her old life and erasing her old identity as she tries her best to form a new one in a different country. Her systematic rejection of all that she has become is a remarkable feat, and Huppert’s portrayal says as much with a steely stare as it does with a rare tear, for no matter how much this woman attempts to deny her past life and experience, we always know that she remains hurt and that, wherever she goes, her past and her memories travel with her, something very much reinforced toward the close of the film. In fact, so much of the story is told merely by Huppert’s expression and her repression that it’s not always obvious how many of the scenes lack dialogue or, at times, merely form a spartan shooting gallery, little more than an extended montage. 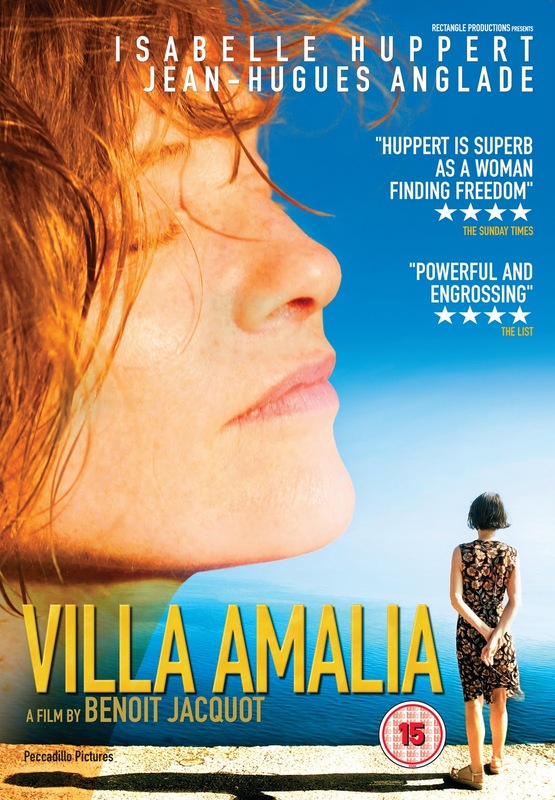 Huppert makes 'Villa Amalia'. She expertly constructs a character who, though so extreme in her reaction to what she goes through, is both wholly believable and quite remarkably sympathetic. Unfortunately, this film has an unsatisfying and rather rushed conclusion, but it nevertheless remains an excellent character piece. It’s slow pace may deter some though, yet at the same time, it may well draw others deep into Huppert’s mind and her mid-life reawakening. 'Villa Amalia' is out now. Purchase at Amazon.co.uk .